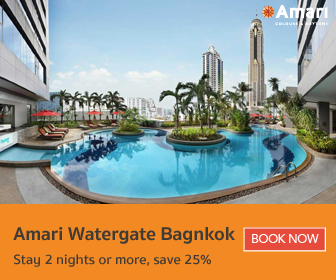 All within walking distance from Amari Watergate Bangkok! There is no doubt that Pratunam – otherwise known as Watergate – is the ultimate hot spot for shopping in Bangkok. Ranging from rustic street markets offering unique souvenirs to wholesale malls with the latest fashion merchandise at wallet-friendly prices to luxury shopping complexes such as CentralWorld, Pratunam is a second home away from home for shopaholics who wish to renovate their wardrobe over the weekend. Here are 5 Activities to do in Pratunam when staying at Amari Watergate Bangkok! Directly across Amari Watergate Bangkok, we have Platinum Fashion Mall which is extremely popular among both locals and travellers shopping for new clothes without breaking the budget. Platinum Fashion Mall is a Wholesale and Retail Destination that is made up of 2 buildings housing at least 2,000 shops in 11 floors. Most of the items range from women’s clothing, men’s clothing to children wear but there is also a handsome selection of accessories, gift shops and even a small zone for electronics on the upper floors. Platinum Fashion Mall also hosts seasonal markets right outside their doorstep so there is always something to see. Local tip: Platinum Fashion Mall restock their items every Wednesday. Other than shopping, Thailand is world famous for the multi-dimensional flavours found in street food. 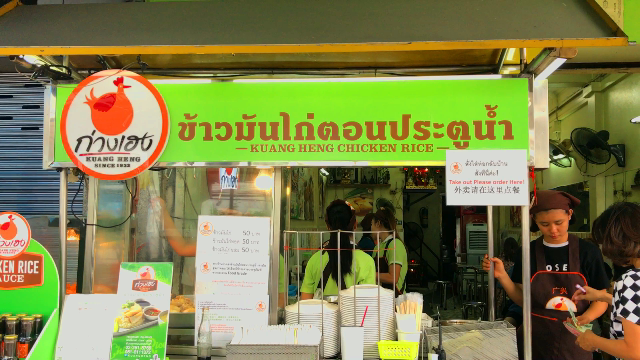 One of the most historic staples of Pratunam would be the Kaiton Pratunam Chicken Rice that is open… 24 hours and been around for over 60 years! 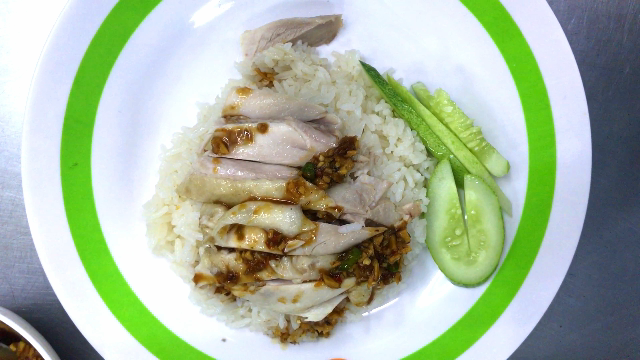 Of course, there are many other street food options in Pratunam. However, an experience you should also not miss is the Asian street food at live show kitchens at Amaya Food Gallery, located on the 4th floor of Amari Watergate Bangkok. Amaya Food Gallery offers a lavish spread of delicacies from around the continent and Italy in a fun street-market setting where the best-selling buffets are Friday Seafood Night and Sunday Brunch. 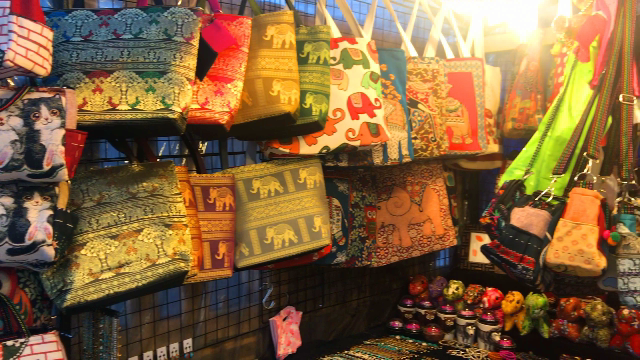 While Chatuchak or JJ Weekend Market is the classic must-go attraction for most tourists, Pratunam now has Talad Neon which is the hottest outdoor market on Pratunam. Getting there is very simple; all you have to do is walk out of the lobby of Amari Watergate Bangkok, turn left and walk straight until you see a big sign saying NEON next to Thanachart Building. 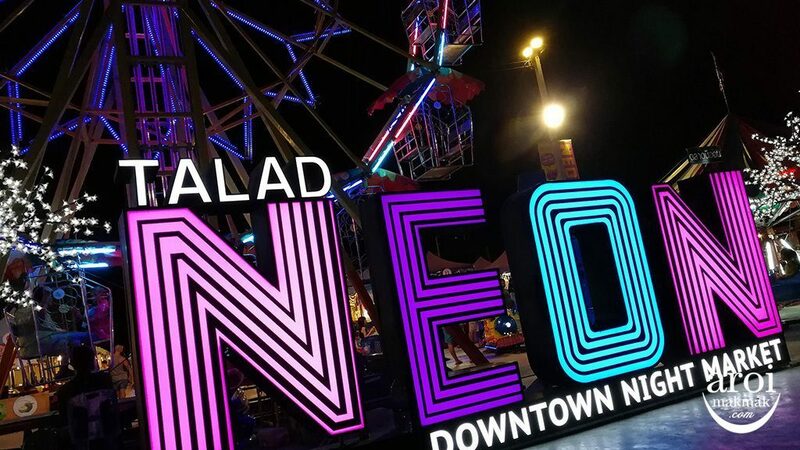 Talad Neon is a very vast open space made up of many stalls that offer seafood, grills, desserts, drinks, clothing, accessories, souvenirs and we have even spotted two barber shops where we saw customers getting a haircut! Although visiting the Grand Palace, Temple of the Reclining Buddha and Temple of the Dawn are a must when travelling to the capital of Thailand, Central Bangkok by no means lack cultural sites. 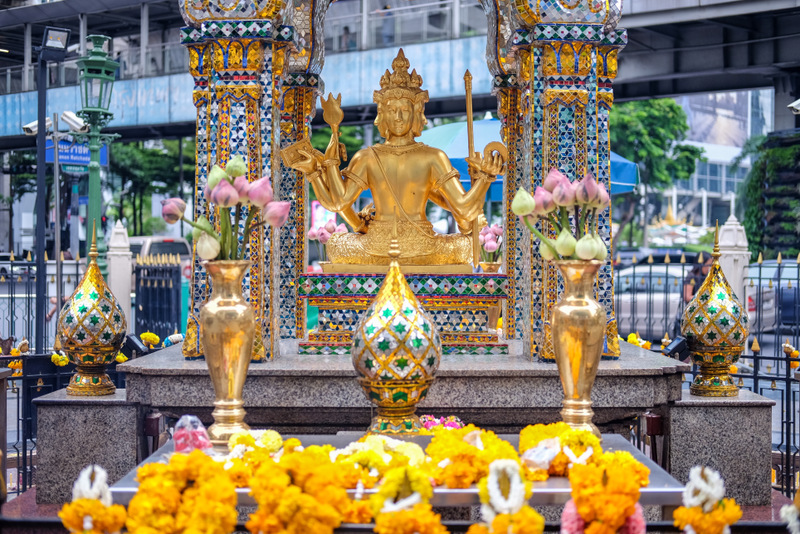 With the Victory Monument being just a couple of BTS stations away, there is also the Erawan Shrine located near the Chidlom BTS station, within walking distance from Amari Watergate Bangkok. Built in 1956, the Erawan Shrine uses the Hindu god of creation Lord Brahma and often have Thai dancers hired by worshippers who wish to have their prayers come true. 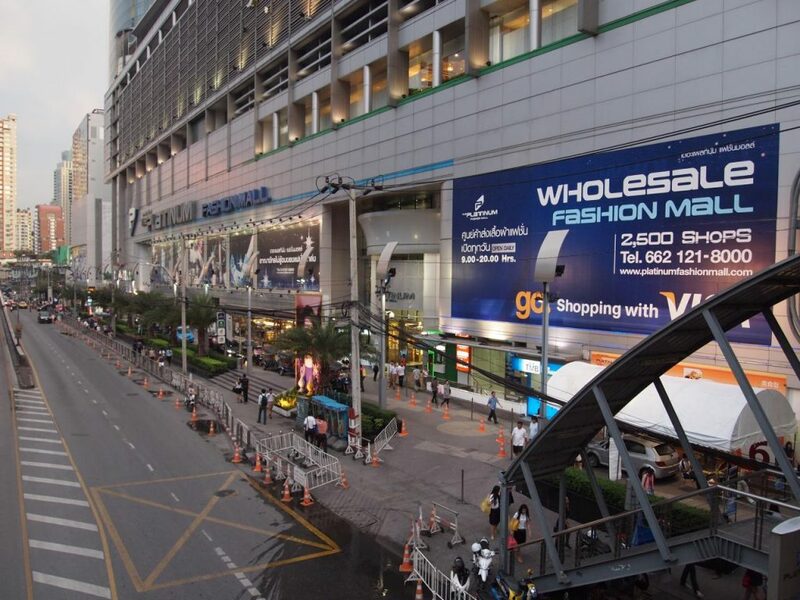 Getting to the Erawan Shrine by foot is effortless; all you have to do is walk across the road from Amari Watergate Bangkok, access the Ratchaprasong Walk bridge, enter Gaysorn Plaza and you will then be connected to the BTS skywalk near Chidlom station. Being the spa capital of the world, Thailand has a large range of affordable spas all around the country. 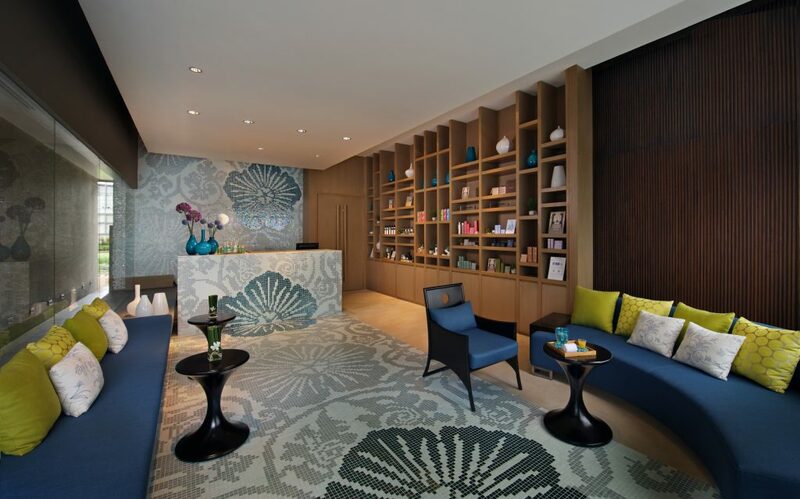 While there may be some very wallet-friendly massage shops along Pratunam, you actually get better value for money just by spending a little bit more at a proper 5-star hotel spa such as Breeze Spa at Amari Watergate Bangkok! Although it may cost a little bit more than your street-side massage shops, an experience at Breeze Spa still costs considerably less than spas of equal quality back home. Breeze Spa has just made some adjustments to their menu with new additions such as the Signature Muay Thai Massage which is Thai long strokes with oil and herbal compress. Of course, Breeze Spa still offers their classic Mood Massages with 5 moods for you to choose from such as Dreamy, Serene, Rejuvenated, Invigorated and Energised. Local tip: Be sure to arrive 15 minutes before your appointment time to fill out the consultation form and if you’re looking for the best deal, Breeze Spa has a daily Come 2 Pay 1 promotion for their off-peak hours from 10 am to 1 pm! With so many things to do in just one area, there is no better place for exploring Bangkok than staying in Pratunam. If you’re planning a summer getaway to the heart of Bangkok’s shopping district, Amari Watergate Bangkok offers a 25% discount on accommodation for stays until 30 June, 2018! Click here to get this exclusive website deal.